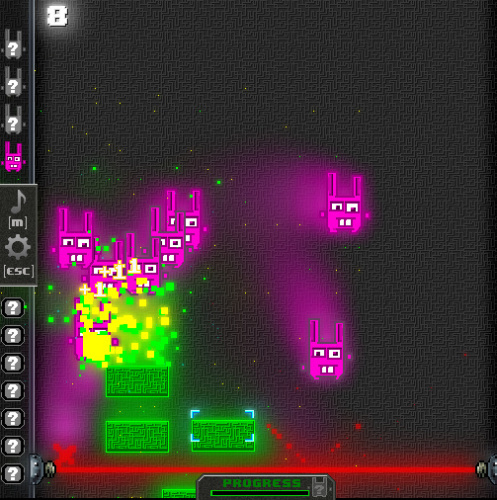 Description Neon Rabbits is a crazy and psychedelic game. Control the block with the mouse and keep bouncing the rabbits, collect the power ups and get those rabbits. How many points can you score?